Ranked by Business Week as one of the 50 most generous philanthropists in the nation, it was estimated in 2008 that Donald Bren, Chairman of the Irvine Company and dedicated philanthropist, had given more than $1.3 billion focused in the areas of education, conservation and research. 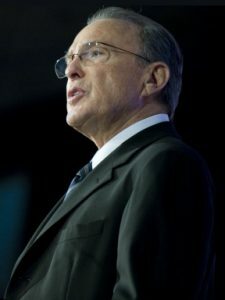 At the University of California, both privately and through the Donald Bren Foundation, he has directed more than $60 million to support faculty and programmatic excellence. The Irvine Company and the Donald Bren Foundation have contributed more than $200 million to K-12 public schools on The Irvine Ranch and to higher education institutions. As an arts supporter, Bren has donated millions in charitable contributions to the OC arts community, to such beneficiaries as the OC Performing Arts Center and OC Museum of Art. Additionally, Bren is involved in environmental conservation, guiding major preservation efforts on The Irvine Ranch – 93,000 acres stretching from the Pacific Ocean to the Cleveland National Forest. In total as a result of Bren’s conservation efforts, more than half of the entire ranch – more than 50,000 acres – has been permanently preserved as open space and park lands. These lands have been designated Natural Landmarks by both the U.S. Department of the Interior and the State of California. 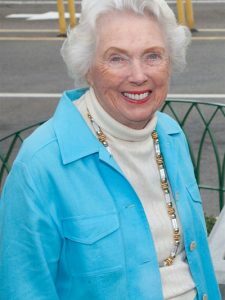 Marion Knott has supported Chapman University as a trustee since 1982, underwritten student scholarships, faculty initiatives and made multiple financial donations to much-needed facilities, with and without being asked. Gifts include $8 million for the film school’s state-of-the-art Marion Knott Studios, a lead gift to the Conservatory of Music in Chapman’s College of Performing Arts and an endowment for a Filmmaker-in-Residence program. The 15-week program, for 10 selected scholars, brings a renowned filmmaker to campus to interact with and mentor students. Knott also donates time and financial gifts to the Discovery Science Center of Orange County, Cruisin’ For a Cure, Blind Children’s Learning Center, Goodwill Industries of Orange County, where her giving over 20 years totals over $573,000, and Hoag Hospital Foundation, where she’s given a $700,000 challenge grant encouraging the community to collectively match her donation for a state-of-the-art nursing education program, the Marion Knott Nursing Education Center. Phil and Mary Lyons have provided significant financial support, extraordinary leadership and countless volunteer hours to many OC arts programs. They are major donors to public broadcasting and particularly KOCE-TV and the ArtSmart segment of KOCE programming. As a board member of the Pacific Symphony, Phil championed the construction of the Symphony’s home, the Renée and Henry Segerstrom Concert Hall. The League of American Orchestras designated Pacific Symphony as one of the five most innovative orchestras in the nation and the Lyons played an enormous role in shaping the institutional identity. Phil continues to serve on the Symphony’s Executive and Investments Committees. Deeply involved in the Pacific Chorale where Mary is a singer, the Lyons have helped ensure that professional choral music is performed and recorded at the highest standards. Mary chaired the Chorale board in the 1980s and presently serves as its VP of Education and Programs. 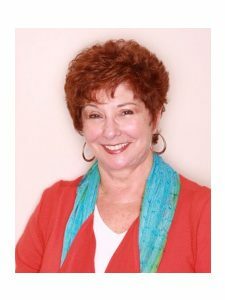 Mary, a founding Board member of Arts Orange County, has served as that organization’s president and worked to bring the Imagination Celebration of Orange County under its aegis and expand its programming. 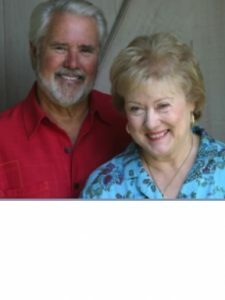 Phil and Mary Lyons were awarded a Cultural Legacy Award by Arts Orange County in 2008 and continue to be generously involved. Disturbed by the increasing statistics of domestic violence, Jerri Rosen founded Working Wardrobes in 1990 to help women in need of re-entering the workforce through professional “wardrobing” and career development services. Today Rosen oversees a $1.2M nonprofit that has served over 50,000 clients in its twenty years, with 5,000 at-risk Southern Californians uplifted in 2009 alone. Led by Rosen, Working Wardrobes now includes programs to serve men and teens in addition to women. In 2000, Working Wardrobes created the Cinderellas for Life event which features empowerment workshops, prom dresses, shoes and accessories for girls who would otherwise be unable to afford the items. Working Wardrobes provides career tools, confidence and the respectful boost needed for men and women to re-enter the workforce. Thrivent Financial for Lutherans is a faith-based, not-for-profit financial services organization that has worked with Habitat for Humanity of Orange County (HfHOC) since 2004. Since the inception of their local partnership, Thrivent Financial for Lutherans has contributed $1,096,706 to HfHOC. 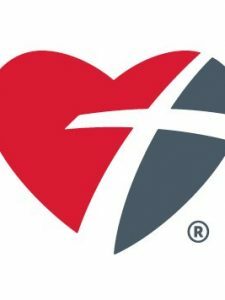 Thrivent Financial for Lutherans encourages Lutheran congregations to enter into partnerships with HfHOC through financial donations and volunteer labor. Since the Lutheran Partnership’s first grant, $360,000 has been donated to support HfHOC homes and 2,200 Thrivent members and local Lutherans have provided more than 18,000 hours of volunteer time, a contribution valued at $419,200. One example of a Thrivent-sponsored home is the Diaz family in Westminster where the widowed father of two autistic teenagers is very grateful for the home that provides stability, security and a nurturing environment. Through leadership, financial support and volunteer participation, Golden State Foods (GSF) demonstrates an outstanding commitment to philanthropy in Orange County. 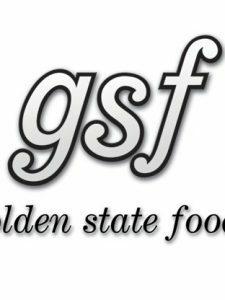 In 2002, Golden State Foods established the Golden State Foods Foundation, a non-profit organization designed to improve the lives of children and families in the areas where Golden State Foods associates live and work, through personal involvement and contribution. The GSF Foundation has raised more than $13 million for over 250 children’s charities and donated $6.4 to charitable causes. Nearly 80% of GSF’s U.S. employee base participates in the GSF Foundation which encourages volunteer participation and commitment of its workforce. 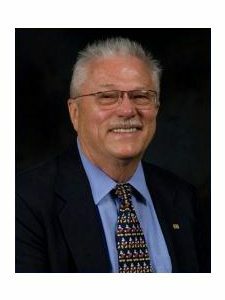 Well-known for over 40 years of service to the community, Henry L. Jones has served as a board member and advocate for many OC organizations including St. Jude Medical Center. After the passing of his wife, Vi, in 2009, Mr. Jones responded with a donation challenge to the community in support of cancer services for a St. Jude event. He pledged to match up to $25,000 in Vi’s honor. With the writing of personal letters to friends and colleagues, Mr. Jones helped inspire 144 gifts. He personally gave $46,000 and set a fundraising record for the event, raising over $140,000. In March 2010, Mr. Jones co-chaired an event committee in support of the St. Jude Neighborhood Health Center, a fixed-site clinic for the underserved. Mr. Jones conceived and developed a special appeal to inspire gifts and convinced three committee members to join him in matching gifts dollar for dollar. His leadership and innovation helped the committee to more than double the proceeds from $41,000 in 2007 to over $109,000 in 2010. Susan Smith of St. Jude Medical Center said of Mr. Jones “Henry’s endurance and passionate philanthropic leadership through [Vi’s passing] has been utterly inspirational”. In April 2010, Henry spearheaded the 2010 Vi Jones Fullerton Area CROP Hunger Walk with another $25,000 matching challenge and, as a result, it was the first CROP Walk in California history to raise over $100,000. Access OC provides outpatient free surgeries on ‘Super Surgery Saturdays’ at seven local hospitals throughout the year. 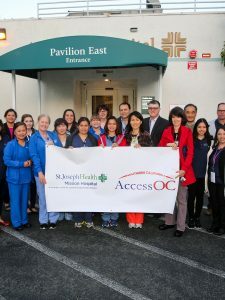 A project of the Health Funders Partnership of Orange County, Access OC was formed in 2005 in response to a healthcare assessment which identified access to specialty care for underinsured and uninsured residents as the greatest area of need. The foundation of Access OC is the 400+ medical professionals, including physicians, nurses and surgical teams who donate their time, skill and expertise. One in four of Orange County’s 3 million residents live below 200 percent of federal poverty level and about 15% of resident’s ages 18 to 64 are uninsured. Uninsured patients typically wait long periods of time (12 months of longer) for specialty healthcare. Access OC provides a mechanism to close that gap with their outpatient surgery program operating year-round. Volunteers have the benefit of contributing to the health and well-being of individuals in their community. In 2006, eleven-year-old Megan Mahdi decided to focus her love of competitive figure skating as a means to raise money for children. Project Joy, a skate-a-thon fundraiser securing pledges for laps skated was founded to support Olive Crest, a group that offers programs and services to treat and prevent child abuse. Project Joy raised $3,300 for Olive Crest the first year, collecting 45 pledges. Megan and her younger sister skated 276 laps between them. 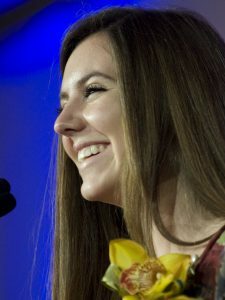 In 2007, Megan expanded the event by inviting 23 girls to join her and her sister. She also offered a point of sale program and enrolled in a web design course to create a website to publicize the event. Smile Train, an international organization that provides free cleft palate surgery for poor children in developing countries, was included as a second beneficiary. The event was renamed ‘Skate for Joy’ and raised $27,000 for Olive Crest and Smile Train with over 3,500 laps completed. In 2009 the event raised $29,000. In four years, Ms. Mahdi and Project Joy have raised over $86,000 to benefit children in need. “The potential impact to be made on behalf of children of the world by Megan Mahdi is immeasurable,” says Tina Fuertes of Olive Crest.